Liam Chisholm in full stride. 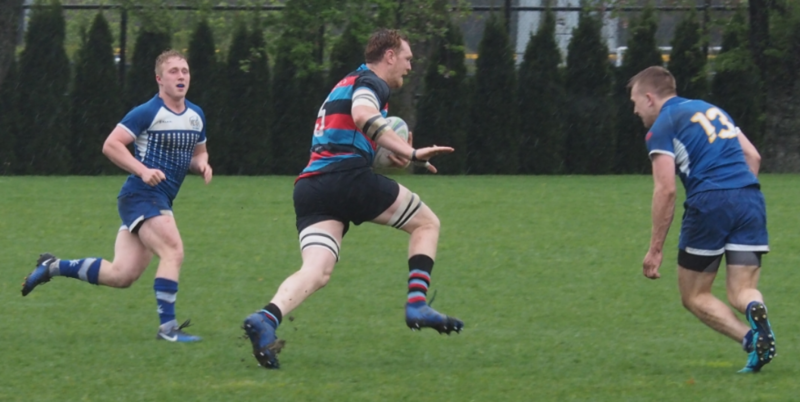 The weather has put a damper on rugby at The House and across the board this weekend. CW Women were on the hunt for their first victory over visiting UBC Thunderbirds. The women had posted a strong line-up for the match with the Lizzie Adams’ led squad featuring a few “new” but old names on the bench; Chanelle Edwards-Challenger, Tasha Loucks and Frelen Gorst. New to the club this year, Rosie Lang had been moved from the lock to front row spot anchoring Hazel Domingo and the returning Ada Okonkwo, on paper a solid combination. So, the ladies will have to postpone it to another day to assess the bench-mark of their work. Women finding a way to put in the yards, despite the weather outside being frightful…. 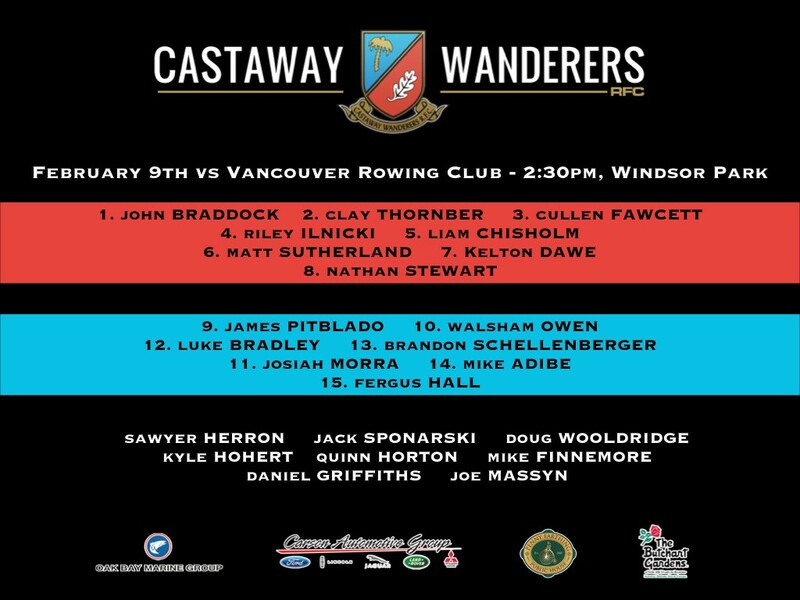 The Premier Men posted an interesting combination for their contest against Rowers, with the intent of returning to the winning column. Most interesting was the return of Chiz. Liam has been out for a long spell but has put some hard hours to repatriate his back and led others with the weights program. Fawcett seems to be keeping Jackie out of a starting spot, a challenge relished by the later, I’m sure. With the return of Kelton in the backrow, Bradley pops up in the centers, a not unfamiliar spot and the combo with Shelly would have been mouth-watering. Adibe returned and Hall held his spot. Of interest was the expected return of “the Troubadour” – Josiah Morra. (We include the line-up here.) BCRU has announced all games being transferred until next Saturday. During the week a large number of young ladies experienced the polar conditions of the lower mainland during their work out at Abbotsford! CW is proud and pleased to announce the selection of Chloe Hill-Huse on the B.C. Girls U18 Elite Sevens team for Western Canada Championships, with Kenzi Farish (sister of Luke McCloskey! ), selected as a non-travelling reserve. As well, Marina Skakun was selected on the B.C. Girl’s U16 team for Las Vegas. ‘onyas, ladies! We congratulate and give hon. mention to others trying out; Britt Gardner, Emily Parker and Danielle Leopold. CW girls, Maelle Reed and Ella O-Reagan are carded with RC at this age grade level as well. Hats off to all. FEBRUARY 15th 9:00 - 4:00. ROYAL BAY SCHOOL. The club’s Max Freund (l.) and Connor Klatt (r.) are refereeing at a young age and embracing the refereeing “pathway”. Recently the lads attended a Referee’s Clinic in Sacramento where they were tutored by some of the best with the whistle in North America. They had an opportunity to put theory into practice doing some games at the massively attended High School’s Carnival, under the watchful eyes of their tutors. The boys were modelled by VIRRS’s Kevin Smith, Smithy being in attendance to do some theory himself, earning certification as a Coach of Match Officials. Great stuff!